I was given Sue Shepherd’s recipe book, ‘The Gluten-free Kitchen’ for Christmas and have already made two cakes out of it. 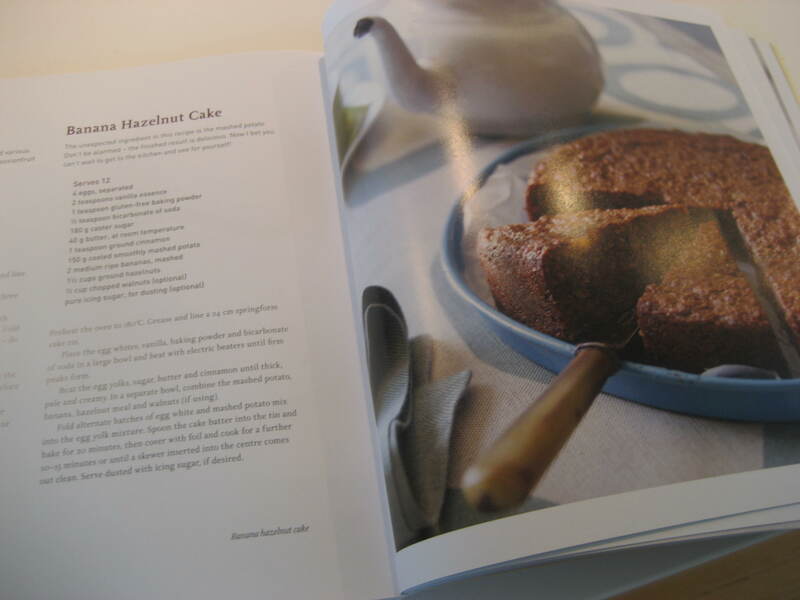 The book has wonderful photos and easy recipes that don’t involve too many ingredients. For my Mum’s birthday I decided to make the Banana Hazelnut Cake. I was intrigued to see that the recipe included 150g mashed potato (instead of flour), however the forward of the recipe actually notes not to be alarmed about this unexpected ingredient. 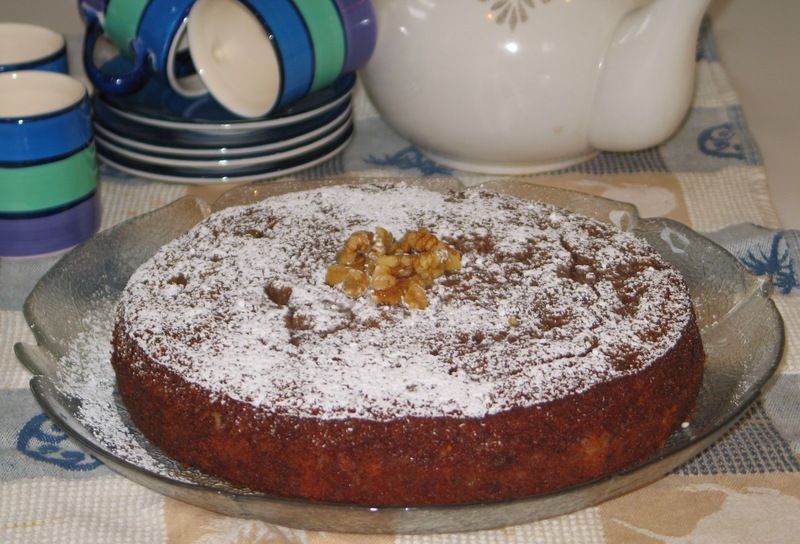 The cake turned out amazing and everyone highly enjoyed it – some even going back for seconds – and you wouldn’t even realise that it had potato in it! 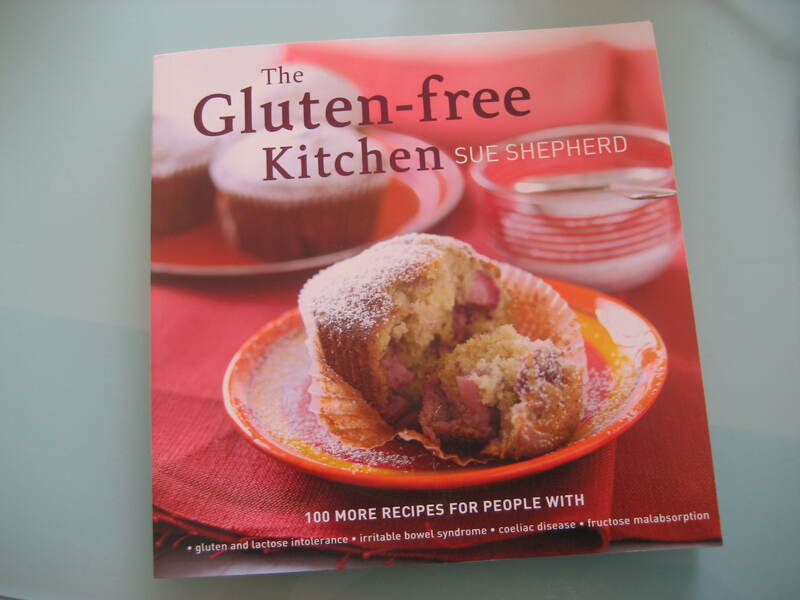 To find out more about Sue Shepherd and her cook books (among other things) check out her website here. Preheat the oven to 180 degrees Celsius. Grease and line a 24cm springform cake tin. Place the egg whites, vanilla baking powder and bicarbonate of soda in a large bowl and beat with electric beaters until firm peaks form. Beat the egg yolks, sugar, butter and cinnamon until thick, pale and creamy. In a separate bowl, combine the mashed potato, banana, hazelnut meal and walnuts. Fold alternate batches of egg white and mashed potato mix into the egg yolk mixture. Spoon the cake batter into the tin and bake for 20 minutes, then cover with foil and cook for a further 10-15 minutes or until a skewer inserted into the centre comes out clean. Serve dusted with icing sugar. What unusual ingredients do you cook with? I remember putting mashed potatoe in a chocolate cake as a kid – the cake was so moist! MMMMMMMMMMMM,..what a stunning & beautiful tasty cake!! I was also given this cookbook for Christmas. Aren’t people so thoughtful :-] Great book with great flavours.